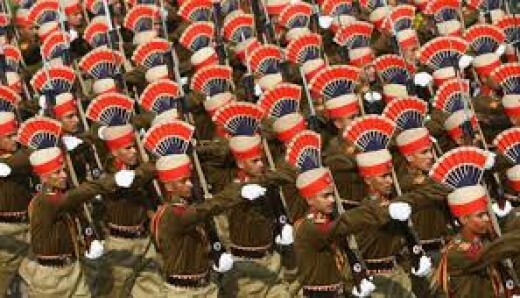 In India, the armed forces have the lowest priority. This is nothing new as this has been an ingrained culture in the ethos of the Indian political leadership right from the days of Jawaharlal Nehru. Nehru emasculated the army, reduced its strength and weaponry and downgraded its status. Later his daughter Indira Gandhi reduced the pension of the Indian soldiers while upping the pension of the civil servants. This was in 1973 and that after the Indian armed forces had won a magnificent victory and created the state of Bangladesh in 1971. What a reward it was! The veterans have been agitating for the last 42 years but the movement only picked up after General Satbir Singh came to head the united front of ex-servicemen. 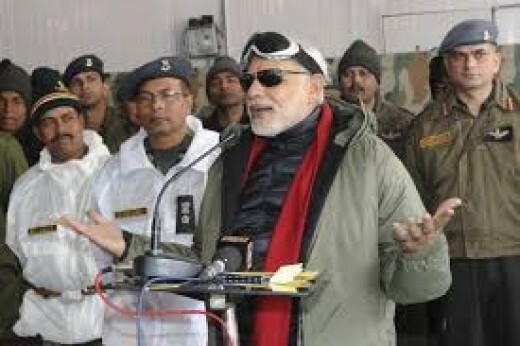 In the 2014 election Narendra Modi the BJP leader swore in an address to ex-servicemen at Rewari that he would sanction OROP as per the Koshiari committee as approved by parliament. However, the Modi government forgot all about its promise after winning the elections and about 18 months after coming to power sanction a diluted version of OROP. This was contrary to the Koshiari committee recommendations which had been accepted by 2 parliaments in 2014. At the same time, he and the BJP began to shout from the rooftops that OROP had been sanctioned, forgetting that glaring anomalies remained and the BJP had actually lowered the status of the armed forces even further. The OROP sanctioned by the government greatly differed from the recommendations as approved by parliament. Firstly, it selected the base year as 2013 in place of 2014 and secondly a revision of pension was agreed to every 5 years while the Indian parliament had approved a revision every year. Thus the basic aim of OROP of equal pension for all soldiers irrespective of the year of retirement was negated. The government also accepted the recommendations of the 7th pay commission which further demoted the services. Medical benefits to veterans were reduced while the medical benefits to civil servants were much higher. In addition, a new allowance called hardship allowance was introduced which was double of that given to armed forces and soldiers compared to civil servants. In other words, men who served in inclement weather in minus 40 degree centigrade guarding India were given short shrift. Overall the services found themselves at the receiving end. A lot of blame apart from the political leadership must go to the Army, Navy and Air Force Chiefs of Staff who just sat on their haunches making soft noises like a cat and accepted the government diktat. To show the rank and file that something was being done they dashed some letters which had no reaction from theModii government. 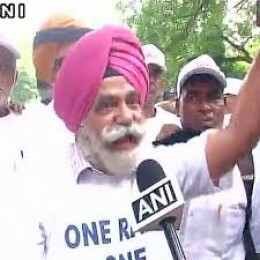 It was general Satbir Singh who has picked up the gauntlet and once again the veterans have started an agitation at Jantar Mantar in Delhi. In addition, 3 veterans including a lady veteran's wife have started a fast unto death. This is sad that a community so disciplined has to resort to this to ask the government to approve what is already approved and accepted by parliament. The future does look bleak and I am afraid it will affect India's ambition to be a great power to rival China. There is no country in the world where veterans have to resort to an agitation to get their rights, which in any case had been approved by parliament. The Pakistan and Chinese army will be laughing up their sleeve at the state of the Indian armed forces. The government has forgotten that there is an umbilical cord between serving soldiers and veterans and this agitation will certainly affect them. There are some veterans who want to call off the agitation, but their reasons are obscure and colored by a pro-BJP mental approach. Modi did a lot for India but his failure on the front is hard to rationalize. Politics is politics and Rahul Gandhi has jumped into the fray and promised OROP as per the recommendations of the Koshiari committee. For the good of the Indian nation, OROP needs to be approved as per the definition as approved by parliament as well as the glaring anomalies of the 7th pay commission that discriminate against the men in uniform must be erased. Is Modi up to the task? Sadly the horse seems to have bolted and the armed forces will never be the same again.